Lately it’s been looking all rosy on my skincare shelf in my boyfriend’s room. As I’m always staying over at his place on weekends, I have been leaving bits and pieces of me (my clothes, skincare, makeup) at his place and the one set of skincare I rely on during the weekends is the LANEIGE Fresh Calming Line. 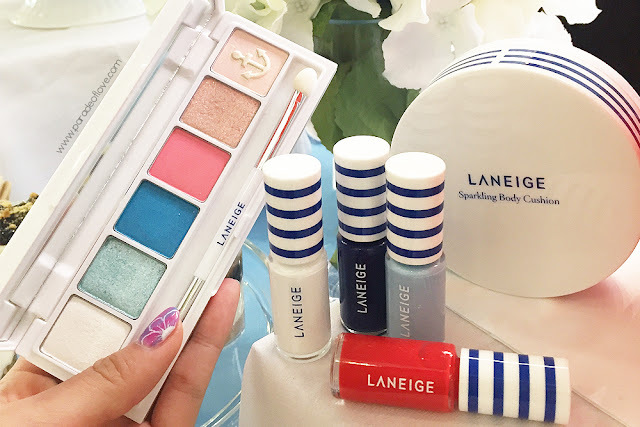 LANEIGE has always been one of my trusted Asian brands when it comes to skincare and makeup, from the Water Sleeping Mask to the BB Cushion Pore Control and recently, the new line of foundation and bases. I was so stoked when they decided to drop a whole line of skincare dedicated to restoring your skin’s natural balance with four very simple steps. Formulated with natural litchi extract and deep-sea water, the LANEIGE Fresh Calming Line seeks to empower your skin with the fundamentals – to soothe and moisturise. Let’s go back to the basics with uncomplicated steps to regain a healthy, rosy complexion. It’s time to unleash the sparkling beauty in you! LANEIGE presents its third installment of the LANEIGE Meets Fashion project, this time with LUCKY CHOUETTE, a second line from Jardin de Chouette, created for the everyday fashionistas! Mixing street style and artful graffiti graphics, LUCKY CHOUETTE appeals to the trendy youngsters. 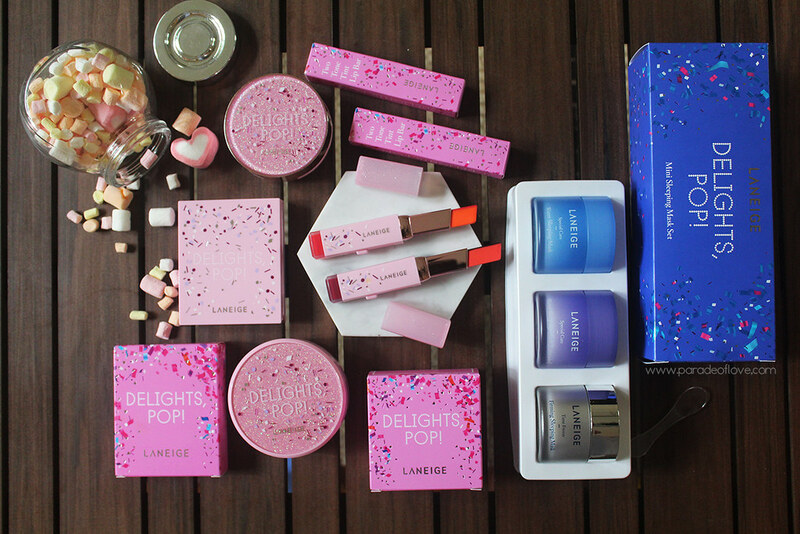 LANEIGE x LUCKY CHOUETTE collection is embodied by the cute Bella and Vely owls to set hearts aflutter! Fun fact: did you know that “Chouette” is actually “Owl” in French? 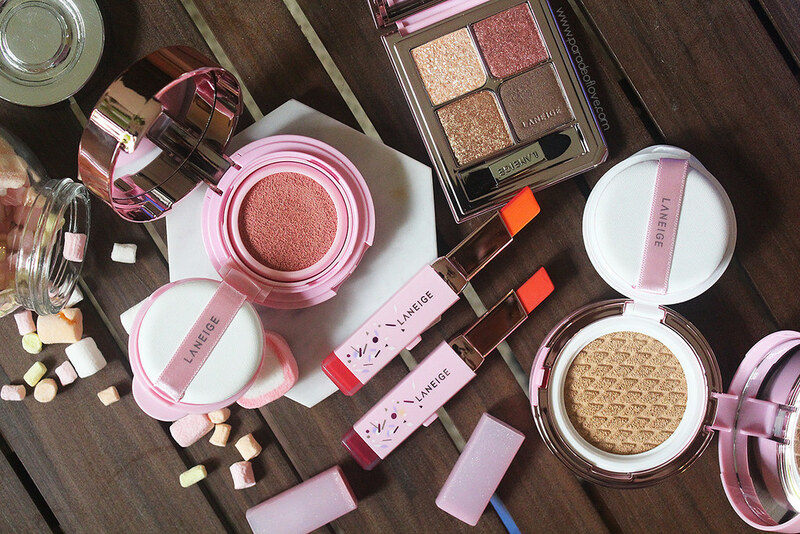 The adorable limited edition collection features the BB Cushion, Serum Drop Tints and a face product, Multi-Colour. And did I mention how cute are the BB Cushion puffs?! How can anyone bear to use them? Summer is approaching, how are you planning to spend it? For me, I’m going to take every step as it comes, and see what happens. After all, even if you’re at the lowest point in a ferris wheel, wait it out and you’ll be at the top in no time again. Life’s full of ups and downs, isn’t it? Anyway, the warming weather heralds the beginning of Summer, and what better way to welcome the season with some nautical goodness? LANEIGE Summer 2016 Collection is here to warm your hearts! 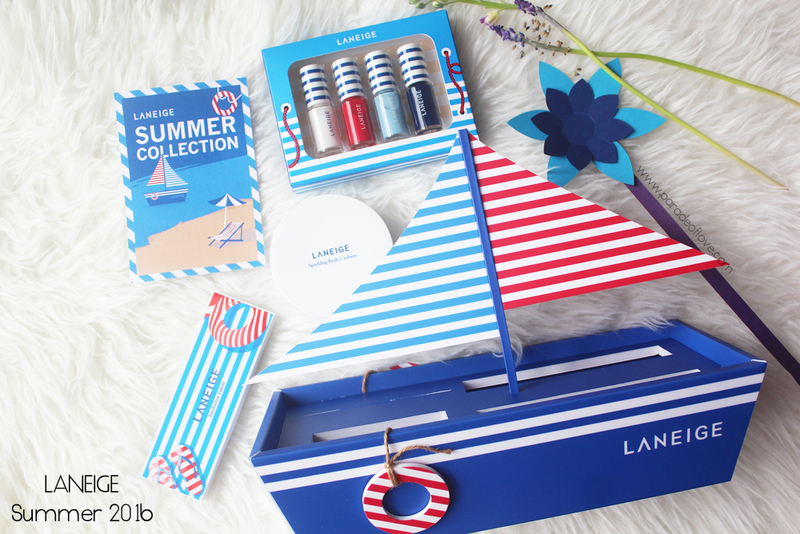 The vibrant collection features a brand new Sparkling Body Cushion, some marine themed nail polishes and a 6-coloured eyeshadow palette. The beautiful sparkling shades scream happiness, don’t they?